Pearson Education's report "The Learning Curve" helps identify the key factors which drive improved educational outcomes. Pearson is today publishing The Learning Curve: a new landmark report designed to help policymakers, school leaders and academics identify the key factors which drive improved educational outcomes. The report holds special significance for North African countries looking to reform their education systems in the wake of social, economic and political upheaval. The report and accompanying website hold answers for governments struggling to implement effective educational policy, and help improve the overall standard of living of their populations. “This report shows there is a link between personal and national income and a country’s education standards, emphasising just how important it is to get an education system right. We hope North African countries harness the Learning Curve findings in their policy decisions, as the report holds qualitative research and data that demonstrates what works in education, what doesn’t and most importantly, why”. 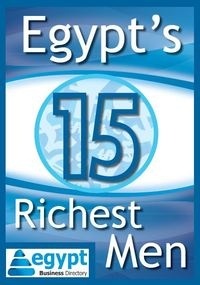 •	Egypt’s GDP per capita is US$6,010. EBD Economics: What is Monetarism?